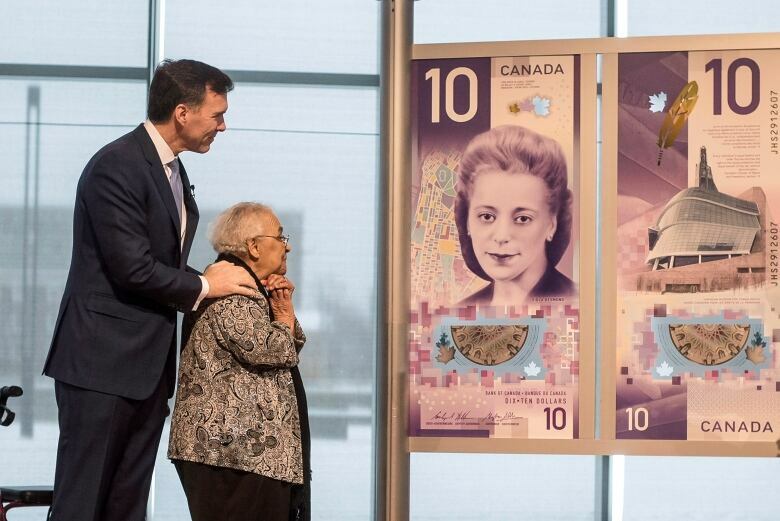 The Viola Desmond $10 bill is set to go into circulation across Canada on Monday. Her sister, Wanda Robson, will be in Winnipeg for the launch. Wanda Robson, the sister of civil rights heroine Viola Desmond, could hardly contain her excitement Friday. 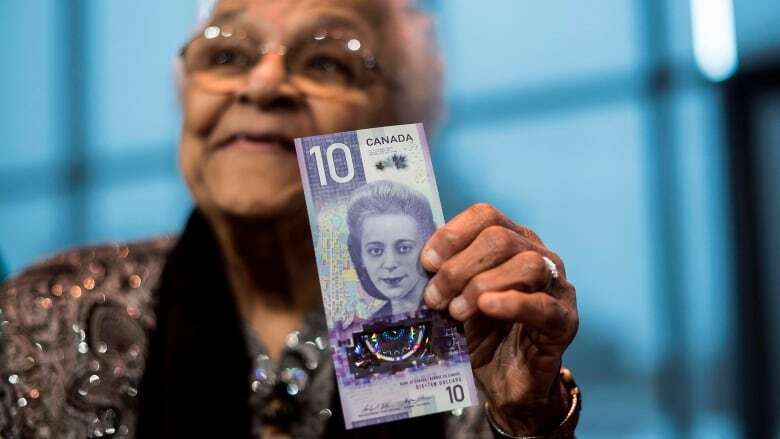 She was packing a bag at her North Sydney home preparing for a trip to Winnipeg for a ceremony to launch the $10 bill that honours her sister. "Oh, it's a jumble," she said. "But back in my mind it all comes forward and I'm thinking of 'that day' and I'm thinking of Viola. It's very hard to describe the feeling you get when your own sister, a member of your family, is going to be honoured with a bill, with a Canadian bill." On Monday, Robson, her husband, Joe, and their son and daughter-in-law, will be at the Canadian Museum for Human Rights in Winnipeg to witness the launch of the bill that features Desmond's image. The historic event comes 72 years after Desmond, a Halifax businesswoman, was arrested and tossed out of New Glasgow, N.S., movie theatre for sitting in the whites-only section. She spent one night in jail. Her fight against the injustice she faced helped end segregation in Nova Scotia. Robson, now 91, is Desmond's youngest sister. Their sister, Eugenie Parris, 94, lives in a Montreal nursing home. 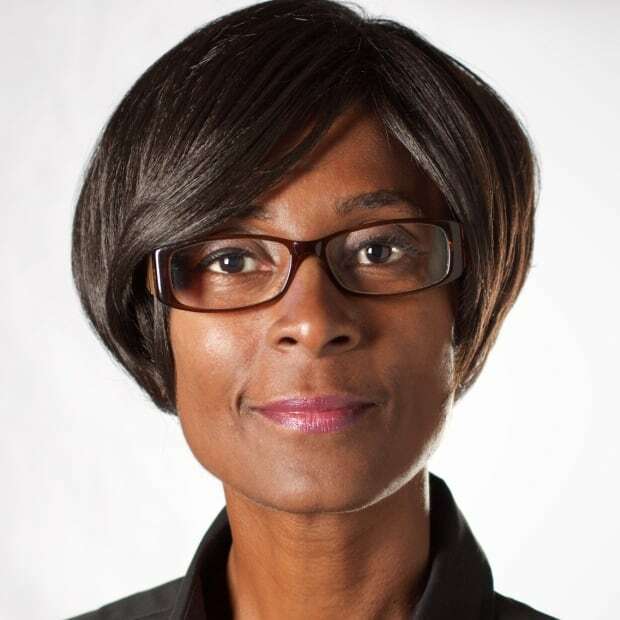 Robson said the bill evokes pride for her family and the African-Canadian community in general. She said she wants people to think about the incident itself when they touch the bill "and the ramifications of that act of courage, what it meant, what it escalated to and also the feeling of pride — of pride in her, of pride in themselves." She said a tourist might see one of the bills for the first time and wonder who is pictured on it. "Isn't that wonderful to think that people that don't know what happened and what Viola did, the ones that don't know will be educated by this $10 bill." 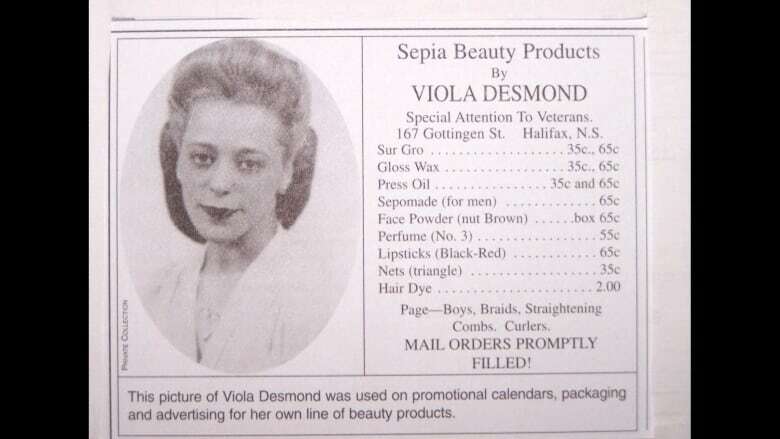 The bill will also feature a map of Halifax's historic north end, near where Desmond grew up and operated her own hair salon and cosmetology school for black women. Meanwhile, several organizations in Halifax's north end are holding events this week to celebrate the bill and Desmond's legacy as a business owner and civil rights pioneer. "As a businesswoman, she was a trailblazer, she was one of the community members that really stood up for herself," said Marika Parris, events co-ordinator for the North End Business Association. "She did things when nobody else would. She educated herself and made sure that she came back to the community and taught some community members what she would learn, to kind of pass on her teaching." A sea of purple Celebrate Viola posters are in storefront windows along Gottingen Street. Wed., Nov. 21 - A roundtable discussion on the civil rights movement in Canada and Nova Scotia, featuring African-Nova Scotian activists and scholars, will be held from 6–8 p.m. at the McInnes Room, Dalhousie University Students' Union Building, 6136 University Avenue. Sat., Nov. 24 - North end $10 street sale & pop-up vendors' market featuring African-Canadian vendors from across the region. Sun., Nov. 25 - An interdenominational church service with St. George's Round Church and New Horizons Baptist Church and a luncheon will be held at St. George's, 2222 Brunswick Street, Halifax from noon-3:30 p.m.
All these events are open to the public and most are free. See www.celebrateviola.ca for a full list of events.